Unique access to MicroObservatory inspires YouthAstroNet Participants! How do we translate young people’s intrinsic curiosity about space science into increased science affinity, STEM identity, and STEM career interest, particularly among girls and those from underserved communities? That is exactly what we here at the Science Education Department at the Harvard-Smithsonian Center for Astrophysics are hoping to learn through our YouthAstroNet Program and accompanying research project. So what exactly is YouthAstroNet? The Youth Astronomy Network, YouthAstroNet for short, is a national, online community of youth, educators, and scientists that aims to help youth gain confidence and identity as someone who can do science through personal participation in authentic inquiry, supported by unique access to the resources of the Harvard-Smithsonian Center for Astrophysics. As a member of the YouthAstroNet community, youth in grades 5-8 engage in authentic inquiry through a number of activities such as requesting images with remotely controlled robotic telescopes, using image-processing software to enhance and make measurements of astronomical images, asking questions, and connecting science to everyday life. In the online YouthAstroNet Activity Portal youth have the opportunity to discuss images with each other, complete image processing challenges to increase their skills, and ask questions directly of astronomy experts and scientists at the Harvard-Smithsonian Center for Astrophysics, who act as digital mentors for the program. To enhance and edit their images participants utilize JS9-4L, professional grade image processing software adapted for naïve users. Through this software they can bring out details of celestial objects, add false color, create true color images of space, or use the analysis tools to pursue projects of their own interest! YouthAstroNet Participate demonstrating project during a capstone event. Learn more and join our network! In addition to being a diverse online community, YouthAstroNet is an NSF-funded research project that aims to determine what strategies have the highest impact when it comes to turning interest in space into belonging and career aspirations in the STEM fields. By participating in the program, and utilizing the online portal with your youth, you and your students will provide valuable data about program factors that lead to positive outcomes for youth. Educators from every style of learning institution—from afterschool programs to museums to traditional classrooms—are invited to join the network with their youth and utilize resources in a way that best suits their learning environment. No prior astronomy knowledge is required. Through an asynchronous online workshop, educators are trained to use robotic telescopes, image processing software, and the interactive portal itself, as well as given access to a proven set of adaptable hands-on curriculum that focuses on concepts in astronomy, digital imaging, light & color, and more. Following the training, educators have ongoing access to the wide array of learning resources, as well as support from YouthAstroNet staff. Apply to host your own YouthAstroNet program, and receive free training, curriculum, and access to the experts on the YouthAstroNet Team! Complete this brief survey. For more information, check out this Recruitment Flyer. MicroObservatory observes Solar Eclipse 2017! On August 21, 2017, observers all over the United States witnessed this amazing celestial line-up. 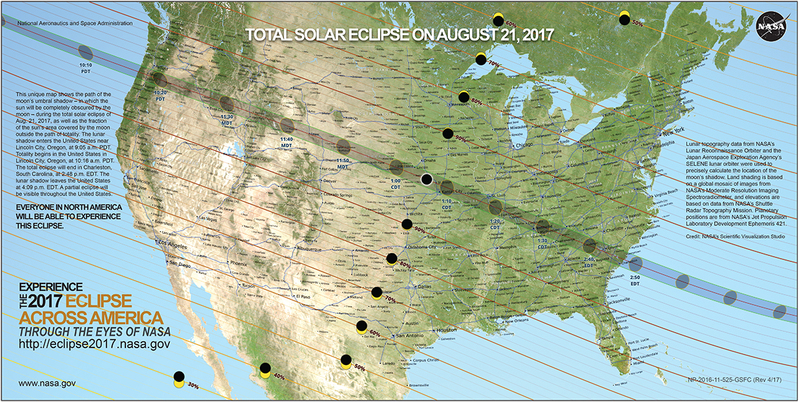 Anyone within the path of totality — a 70 mile-wide strip of land that stretched from Salem, Oregon to Charleston, South Carolina — saw the moon completely covering the disk of the Sun. Our MicroObservatory telescopes joined the fun of observing the partial phases of this solar eclipse by taking images every 3 minutes throughout the entire event! Track the progression of the moon crossing in front of the Sun by viewing our eclipse images in the image archive. International Observe the Moon Night on October 8, 2011 was an opportunity for observers of all ages to focus on the brightest object in the night sky. Across the world, astronomy enthusiasts learned about the history, geography, climate, and orbit of the moon. MicroObservatory users took their own images of the moon. Congratulations to the winners of the first MicroObservatory Astrophotography Contest! Over 90 images were submitted from astrophotographers all over the world. Kevin Manning won the Astrocreative category for his various interpretations of the Orion Nebula. Emma Ramsdell won the youth category for her Astrocreative image of the Sun. Steven N. Maliarakis won the RGB image category for a vibrant image of the Orion Nebula. Marisol Melendez won the youth category for her RGB image of the Whirlpool Galaxy. Thank you to all who submitted images. In honor of Global Astronomy Month 2011, MicroObservatory held an Astrophotography Contest. Participants used the Observing With NASA portal and MicroObservatoryImage software to create RGB Composite images and Astrocreative images. NASA's Wide-field Infrared Survey Explorer observes the "nearby" Pleiades cluster and Andromeda Galaxy. Infrared light is the part of the electromagnetic spectrum just below the low-energy red light our eyes can observe, so the WISE images that we see are "representational color." Can you use the color tables in the image-processing software to make your OWN false color images? NASA's Solar Dynamics Observatory is helping astronomers understand the Sun's influence on Earth and Near-Earth space by studying the solar atmosphere across many wavelengths, or energies, of the electromagnetic spectrum. SDO is part of NASA's Living with a Star program. During April 2010, MicroObservatory joined Astronomers Without Borders in celebrating Global Astronomy Month, the biggest effort ever to spread remote astronomy around the world. The goal of GAM2010 has been to help people to connect across borders and to feel—even if they are on opposite sides of the world—that they are all sharing the same sky. During the International Year of Astronomy, visitors to museums, science centers, planetariums, schools, libraries, and nature centers across the country have been Observing With NASA. 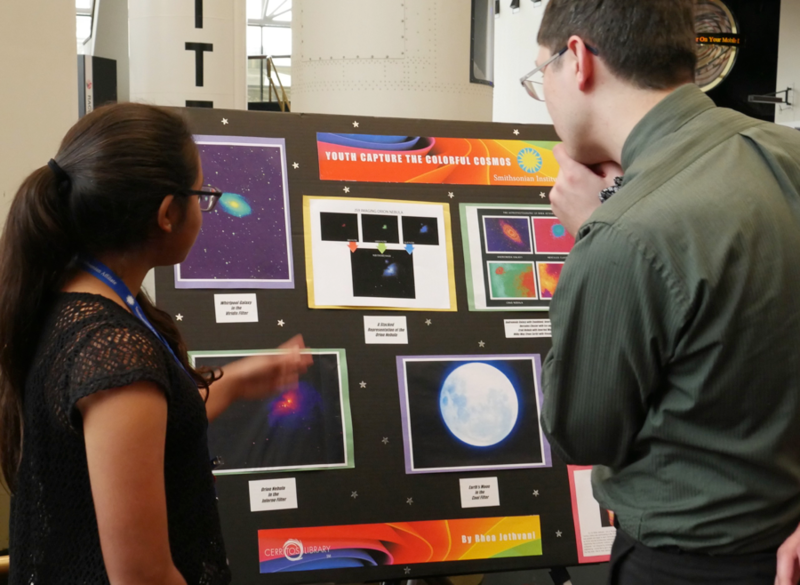 The "Capture the Colorful Cosmos" astrophotography project has inspired these visitors to create a stunning array of exhibits inspired by their MicroObservatory images. In celebration of the International Year of Astronomy, NASA's Great Observatories—the Hubble Space Telescope, Spitzer Space Telescope, and Chandra X-Ray Observatory—collaborated to produce a spectacular multi-wavelength view of the turbulent center of our Milky Way galaxy. Spread the word: the Universe is yours to discover. Come celebrate in 2009. 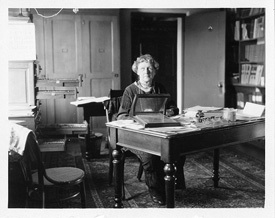 Harvard Astronomer Annie Jump Cannon (1863 - 1941), after whom one of the MicroObservatory telescopes is named. Image from the Smithsonian Institution Archives. During May and June, the Smithsonian Photography Initiative offers three ways to celebrate both the International Year of Astronomy and the 400th anniversary of the first recorded astronomical observation with a telescope by Galileo Galilei. The public may submit their photo and story about how photography influences the ability to see people, places and things "unseen" or "unfamiliar" through the contribute link on the "click!" Web site at https://www.click.si.edu/Contribute.aspx. Contributors may also share their thoughts about photos of the universe from the Chandra X-ray Observatory images available on the Smithsonian Institution's photostream at The Commons on Flickr. Selected entries will be added to the "click!" Web site, which features photos and stories from innovators, writers and public figures across multiple disciplines. Entries selected for the "click!" Web site will be eligible to receive a copy of the book "At First Sight: Photography and the Smithsonian," an intriguing glimpse into the Smithsonian's more than 700 photographic collections. Congratulations to 100 Hours of Astronomy! Between April 2 and April 4 nearly 1,000,000 people participated in 1500 events in 130 different nations around the globe. These individuals participated in science, making 2.6 million classifications of galaxies at Galaxy Zoo, they followed webcasts through Around the World in 80 Telescopes, and they got involved in remote observing and face to face observing at star parties, real and virtual. Over 1000 guest observers used the MicroObservatory telescopes during 100 Hours of Astronomy! To all of you who participated: Thanks for joining us in a truly historical event.